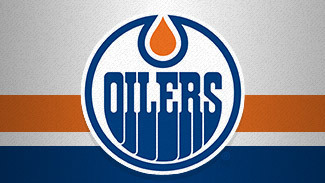 While the Edmonton Oilers have stocked their offensive arsenal over the past several years with a trio of No. 1 draft picks, the key piece in the club's rebuilding efforts may have been delivered on July 1 when another team's inability to come to terms with its own prospect ended up as Steve Tambellini's good fortune. In search of a dynamic young defenseman to complement the cadre of talented forwards he's been adding to the mix with regularity, the Oilers general manager got his wish with the signing of 22-year-old Justin Schultz to a two-year, entry-level contract. Highly sought throughout the NHL once he became a free agent, the product of Kelowna, British Columbia, chose Edmonton as the place he wanted to break into the League. "This is a major step in retooling our defense," Tambellini said in the Edmonton Journal after the signing was announced. "For someone like Justin to show the faith and confidence in where we believe we're going is confirmation for the organization. It shows that we're doing the right things." Schultz joins the first pick in the 2012 NHL Draft, Nail Yakupov, and the past two No. 1 picks, Ryan Nugent-Hopkins and Taylor Hall, as building blocks the Oilers hope will transform them into a perennial contender after missing the Stanley Cup Playoffs for six consecutive seasons. There was no shortage of interest in a blueliner who totaled 34 goals and 91 points in 78 games over his last two seasons with the Badgers, but Schultz preferred to play in Canada and picked Edmonton over the Ottawa Senators, Toronto Maple Leafs and the team he grew up rooting for, the Vancouver Canucks. "It was about the best fit for me and where I felt comfortable, and I felt this was the best place for me. I think I'm ready for it," Schultz said in the Edmonton Journal. "It started with the young talented players they have already and the players they're bringing up." Schultz is coming off three seasons played at the University of Wisconsin and was in position to choose his "best fit" because he never agreed to an entry-level contract with the Anaheim Ducks, who drafted him in the second round in 2008. Hall and Nugent-Hopkins made immediate jumps to the NHL as 18-year-olds, and Yakupov will enter training camp bidding to do the same. Neither he nor Schultz have a roster spot guaranteed, but new coach Ralph Krueger has said he expects both to make the team, and with Schultz having the benefit of four extra years and three seasons of collegiate hockey, it's hard to imagine him not earning a top-six spot. Edmonton has its share of veteran presence on the blue line to help mold the new addition -- Andy Sutton is 37, and Ryan Whitney, Ladislav Smid and Nick Schultz are all in their mid-to-late 20s with upwards of 400 games of NHL experience. Early indications are Krueger might put together an all-Schultz pairing, and Justin figures to get his chance to contribute on the power play. How rapidly Schultz develops his defensive game and is able to help the Oilers prevent goals in addition to scoring them would go a long way in determining how big their strides are in the Western Conference this season.